Notes: A blotch like H.aceris, but smaller and usually including the tip of a lobe. There is always an excised hole and the mines go brown. Uncommon. 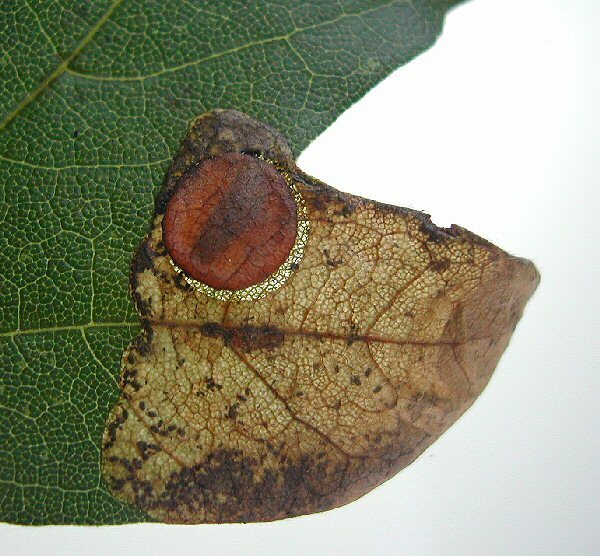 The larva pupates in a disc (as above).